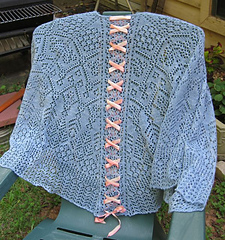 This is the Anniversary Mystery Shawl 2009, celebrating the fourth year of Goddess Knits. 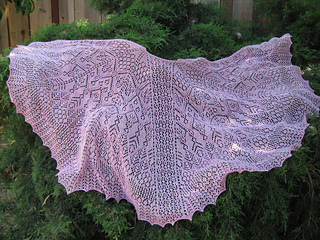 Yardage given is for the Zephyr yarn only. Suggested yardage for the Hanah Silk Ribbon is 5 yards.